One of the rules students tend to overlook for the ACT and SAT is the backup calculator rule. Both tests allow you to bring a backup subject only to the rule that you can’t have both calculators out at once. This means as long as you’ve got one of the calculators under your desk, you are completely within the rules. Your primary calculator might fail for some reason. Let’s focus on the second reason. We’ll assume that your first calculator is a TI-84 or TI-Nspire. The no-brainer decision is to go with a TI-30X Multiview as your backup calculator. For a little over $10, the Multiview actually has a few capabilities that neither the TI-84 nor TI-Nspire has. Notably, it can simplify square roots, rationalize radicals, and will give you exact values for trig problems like the cosine of 30 degrees. In fact, if you are a student taking the ACT, the Multiview is actually one of the few calculators allowed on the test (and the only one by Texas Instruments) that has these square root and trig capabilities. 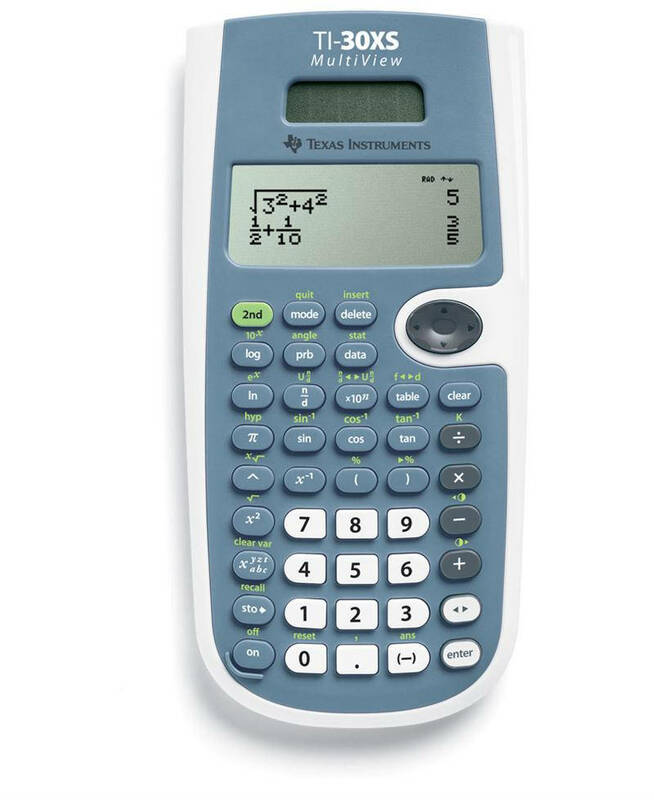 If you are a student taking the SAT, you might be using a TI-Nspire CAS or TI-89, which also have these capabilities, but unless you want to pay for a second graphing calculator as your backup, the Multiview is still the way to go. You’d be crazy to take the ACT or SAT without a backup calculator. It only makes sense to get the one with the most bang for the buck, and that’s the TI-30X Multiview.